Look beyond the classic hybrid tea roses that people used to plant in formal beds.... and you'll find modern hybrids, species and shrub roses, which are easier to grow and less trouble to look after. Glendoick concentrate on the tried and tested, those roses whose flowers stand up to Scottish weather, whose leaves don’t hooch with blackspot, and which don’t need too much pruning and feeding. 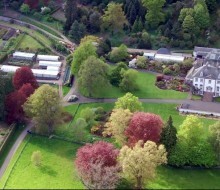 The lists below cover some of the Glendoick favourites. From March-July we have a larger range. The Autumn and winter range is reduced to smaller number in each category. H4-5 (50cm-1.5m) The ‘typical’ rose: the classic long pointed bud which opens to a double flower with many layers of petals. 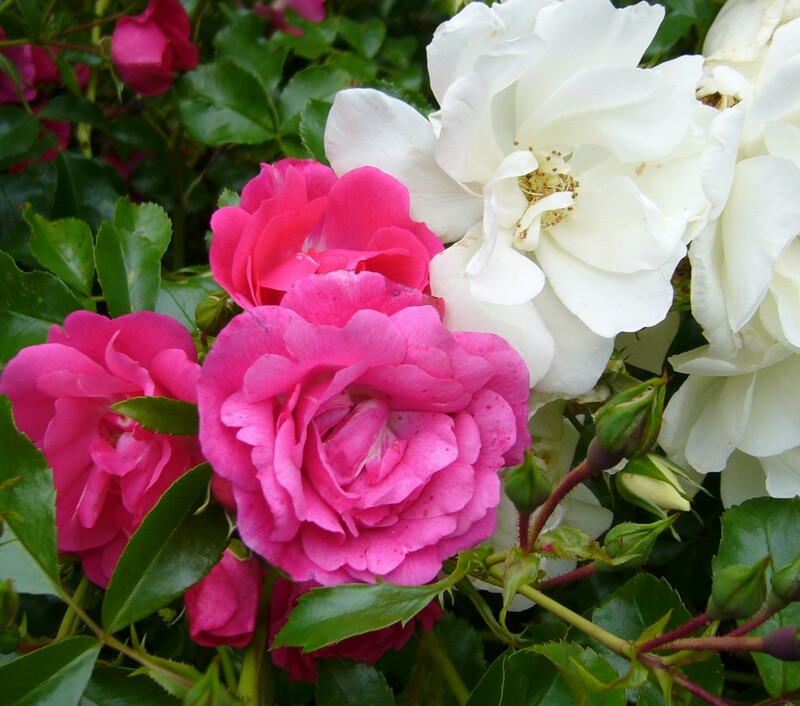 Hybrid teas have the largest individual flowers and are the best for cutting. Hybrid teas are the most formal of roses, traditionally planted in rows in beds. 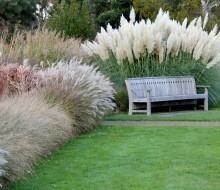 They branch poorly, forming sparse, gaunt bushes, especially if they are diseased, and are hard to integrate into the garden alongside other plants. 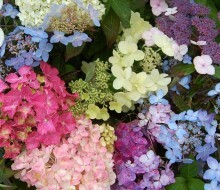 They need careful pruning and dead-heading, and almost all need regular spraying against black spot and mildew. Wind and rain can do a lot of damage to their flowers too. Floribundas are also known as ‘cluster-flowered’ roses with groups of smaller flowers produced more prolifically over a longer period. Floribundas are tougher, better in wet weather, and less particular about how they are pruned so unless you want perfect large blooms for cutting, floribundas make better garden plants. ‘Arthur Bell’ (FL) Deep yellow, fading to cream, excellent scent, long flowering season, tall. ‘Blessings’ (HT) Coral pink, slight fragrance, good rain resistance, long flowering season. ‘Deep Secret’ (HT) Very dark red, probably the deepest of all, very fragrant. ‘Fragrant Cloud’ (HT) One of the strongest fragrances of all, coral red, but rather susceptible to black spot and mildew. ‘Golden Wedding’ (FL) Rich golden yellow, fragrant. ‘Iceberg’ (FL) pure white, slight fragrance, the most popular white floribunda, very free-flowering, best lightly pruned which helps reduce disease which it is prone to. ‘Korresia’ (FL) bright yellow, fragrant, long flowering period, probably the best yellow bush rose. ‘Remember Me’ (HT) large coppery orange, blended yellow, in clusters, slightly fragrant. ‘Remembrance’ (FL) ? 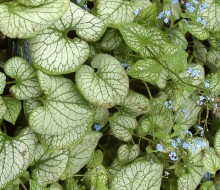 scarlet, slightly fragrant, long flowering season, some mildew. 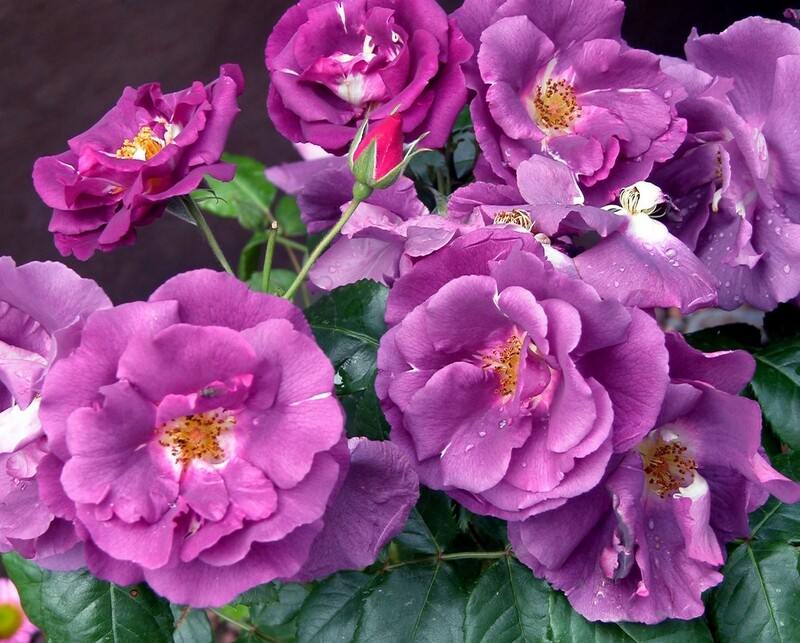 ‘Rhapsody in Blue’ (FL) purple fading to slate blue, almost certainly the closest yet to a blue rose with good scent and some disease resistance, (sometimes classified as a shrub rose). 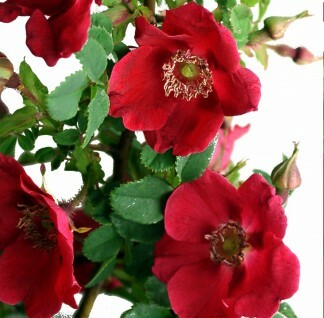 'Ruby Wedding’ (HT) ruby red, slight fragrance, small-flowered, rather prone to disease. ‘Silver Jubilee’ (HT), pink-peach, fragrant, perhaps the best hybrid tea for disease resistance, from Cockers, Aberdeen, highly recommended. ‘Troika’ (HT) orange-bronze, shaded red, fragrant, good rain resistance and healthier than most of this colour. ‘Warm Wishes’ (HT) very fragrant peach-coral, bushy, good wind and rain resistance. H(3)4-5 (3-15m+) Climbing and rambling roses are, at their best, simply one of the most spectacular sights in the garden. 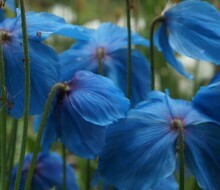 Most are very free-flowering, some over a long period. Ideal for covering the walls of the house, they are also excellent for growing on pillars, arches and pergolas and over fences. Patio climbers are less vigorous, reaching 2-2.5m or so, more suited for a small garden or growing in a container. Most roses need sun to flower well, so avoid north walls. A drawback of many climbing roses is that they can become bare at the bottom, with all the leaves flowers at the top. This can only really be cured by pruning old woody stems out every year to encourage new basal growth. Another trick is to take a long whippy young green branch and tie it laterally horizontally. New shoots will then grow up the wall from this. Rambling roses H4-5 can be the most spectacular of all. They are more vigorous, less able to support themselves, and can need more pruning and maintenance than the modern climbers if you want to control them. If you are happy to let them romp up an old tree, then you can leave them alone. Ramblers are usually not repeat flowering and can be prone to disease, but the best ones are invaluable for growing up trees, large walls or houses or covering ugly buildings. 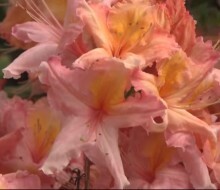 ‘Albertine’ (rambler) (4-5m) % salmon-pink in early summer, very fragrant, reddish young foliage, prone to mildew and flowers are easily damaged by heavy rain. ‘American Pillar’ (climber) (4.5m) bright pink with an almost white centre, unscented, very spectacular in flower, but very rampant and suffers from mildew. 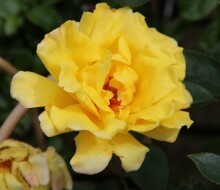 ‘Climbing Arthur Bell’ (climber) (4.5m) deep yellow, very fragrant. ‘Danse du Feu’ (climber) (3m) orange-scarlet, turning purple as they age, flowers well on a semi-shaded north wall, almost unscented. ‘Dublin Bay’ (climber) (2-3m) crimson, slight fragrance, good repeat flowering, not very good at climbing, sometimes remaining a bush, prone to blackspot. ‘Félicité Perpétue’ (rambler) H5 (4-5m) double creamy white with a slight scent, almost evergreen, very tough and will flower in semi-shade, one of the most disease-resistant ramblers. 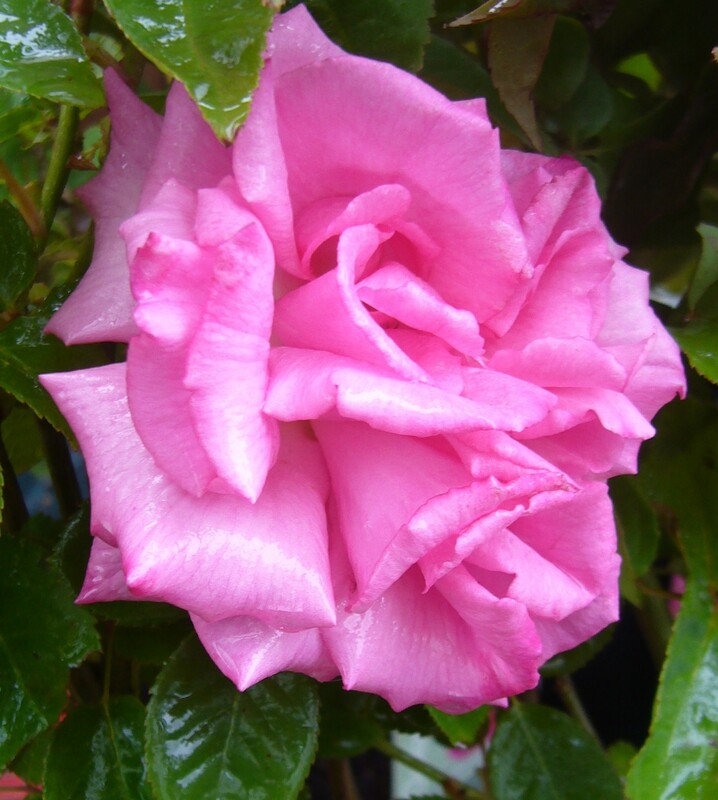 ‘Galway Bay’ (climber) (3m) large double pink, slight fragrance. ‘Golden Showers’ (climber) (2-3m) fragrant double golden yellow, long flowering season, not too vigorous, good disease resistance, probably the best yellow climber overall, though the name does it no favours. ‘Handel’ (climber) (4-5m) striking double two-tone cream and pink with slight fragrance, over a long period, quite rain resistant, needs spraying for disease. ‘Kiftsgate’ (R. filipes) (rambler) (7-10m) single very fragrant creamy-white, over 2 weeks, probably the most rampant rose you can buy, don’t consider it unless you have a large tree or shed to cover with it. ‘Laura Ford’ (Patio climber) semi-double, yellow, pink tinged with age, over several months, a very good plant, usually covered in flower. 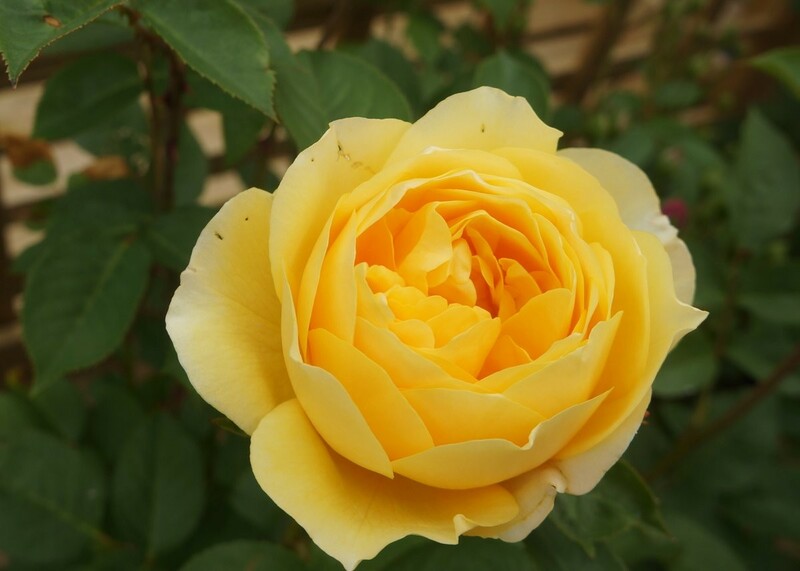 ‘Maigold’ (climber) (4.5m) very fragrant bronze-yellow flowers (an individual shade), in late May and early June, one of the first to flower, the thorns are vicious. ‘New Dawn’ (climber) (3m) small semi-double shell pink, fragrant, all summer, on a vigorous plant with shiny leaves, some disease. ‘Paul’s Scarlet’ (rambler) (4m) scarlet crimson in midsummer, not repeat flowering and rather prone to disease, but still a popular choice. 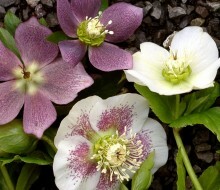 ‘Penny Lane’ (climber) H5 (2-3m) champagne blush, fragrant, repeat-flowering, one of the hardiest climbers. ‘Rambling Rector’ (rambler) (6-9m) cream with a yellow centre, very fragrant and extremely rampant, with hips in autumn, a good woodland plant. ‘Schoolgirl’ (climber) H4 (3.5m) apricot/orange, fragrant, rather leggy and sparse, not very tough, and not always the most free-flowering. 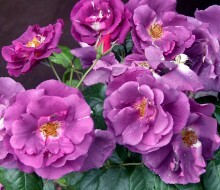 ‘Starlight Express’ (climber) (2.5m) dark pink, fragrant. ‘Zephirine Drouhin’ (climber) (3.5m) semi-double carmine pink, very fragrant, repeat-flowering if deadheaded, thornless, subject to disease. H3-4 Essentially these are low-growing floribunda roses, which reach around 40-50cm in height and have small leaves and masses of flowers in clusters over a long period. 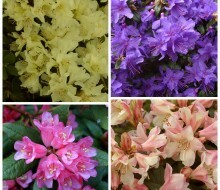 Most have little or no scent. 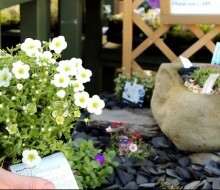 They are becoming more and more popular for containers and small gardens, and can also be used for low hedges. 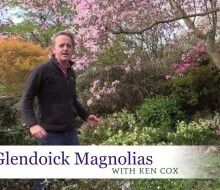 They should be pruned in spring, cut back approximately half the growth length with old and dead wood removed. 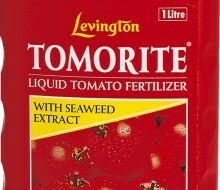 Feed regularly in containers to encourage a long flowering period. 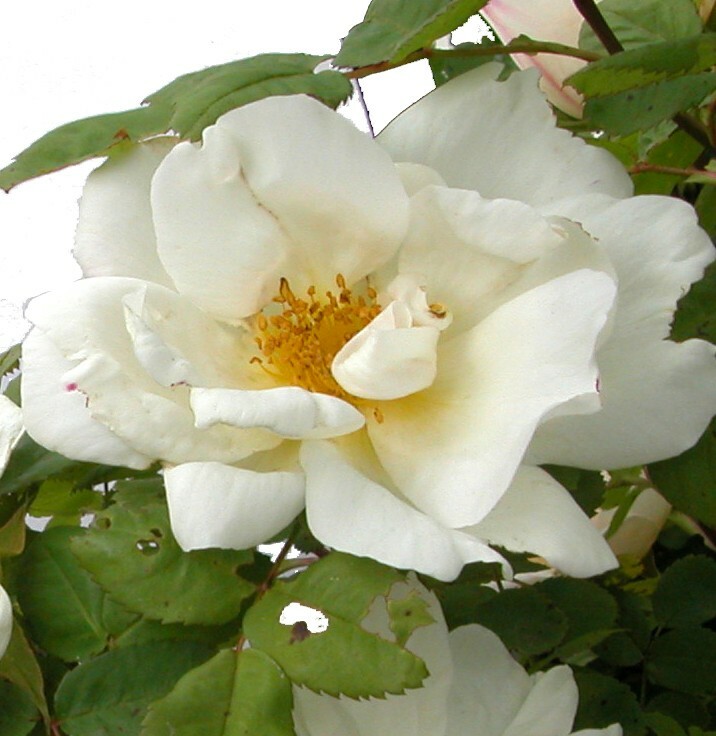 H4-5 (30cm-1m x 1-2/3m) These roses are not truly ground-cover, but are dense, bushy, spreading shrub roses with masses of usually small flowers in large sprays – good for containers, banks, and raised beds. Most are tough and fairly disease-resistant and some are repeat flowering. 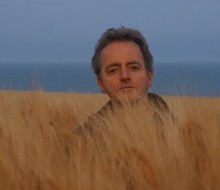 These are a good choice for Scotland, being low-maintenance and mostly quite weather resistant. Shrub roses are an attractive proposition for many gardeners. Many are wild species or only a generation or two away from them. 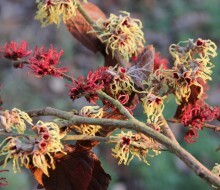 These are plants which look after themselves, are suited for less formality, and associate better with other plants, growing in shrub borders, in woodland or as hedging. Many of the hybrids are repeat flowering. In many ways they have much more character too: apart from the diversity of flower form, some have interesting foliage, others have autumn colour and many have impressive autumn hips. Most modern shrub roses are repeat-blooming if they are dead-headed. 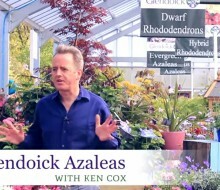 Many of these were bred by David Austin and can be recognised in garden centres in their dark green square pots. They cost quite a bit more than other roses. The number one rose in Scotland for severe climates and salt spray is undoubtedly Rosa rugosa and its forms and hybrids. 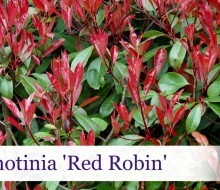 We can’t over-praise this wonderful plant – disease-resistant, flowering all summer, scented, huge reddish hips, wind, salt spray, and drought resistant, good for hedging, needs no pruning or feeding. 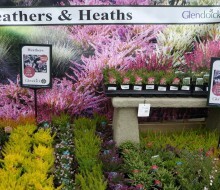 Hardiness ratings are H4-5, height and spread measurements are similar, and flowers are double, unless stated otherwise. ‘Falstaff’ (Austin) (1.3m) dark crimson fading to rich purple, fragrant, very striking colour. ‘Geoff Hamilton’ (Austin) (1.5m) soft pink, scented flowers over a long period, vigorous. 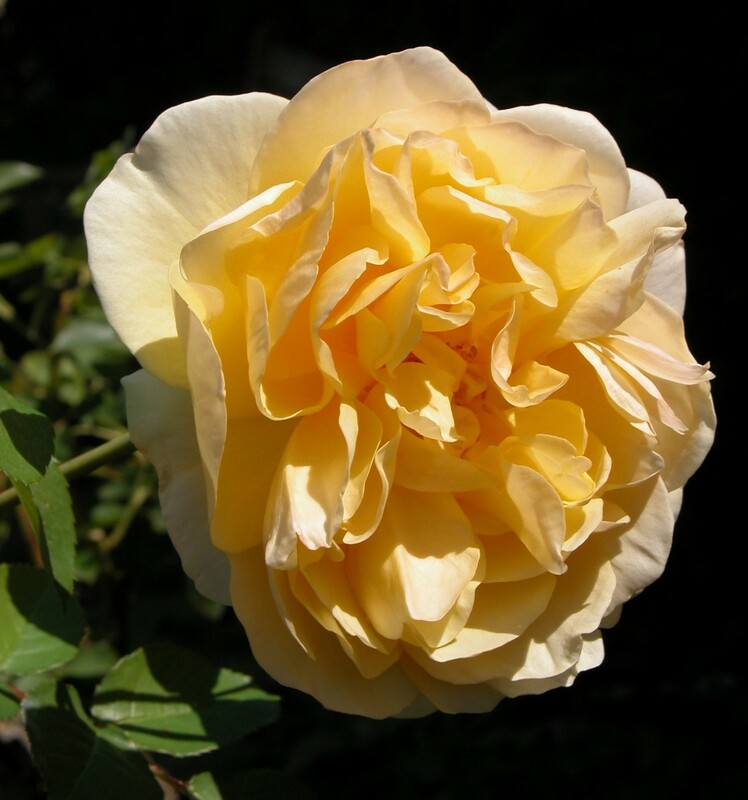 ‘Graham Thomas’ (Austin) (1.5m) pure yellow, very fragrant, named after the greatest rose expert of all, but needs wind shelter. R. moyesii ‘Geranium’ (2m) single bright red in May and June, needs full sun for good flowering, slight fragrance, very showy orange-red hips, good in Shetland. R. xanthina ‘Canary Bird’ (3m) single bright yellow in May-June, attractive ferny foliage, disease-resistant, arching growth, good for hedges. 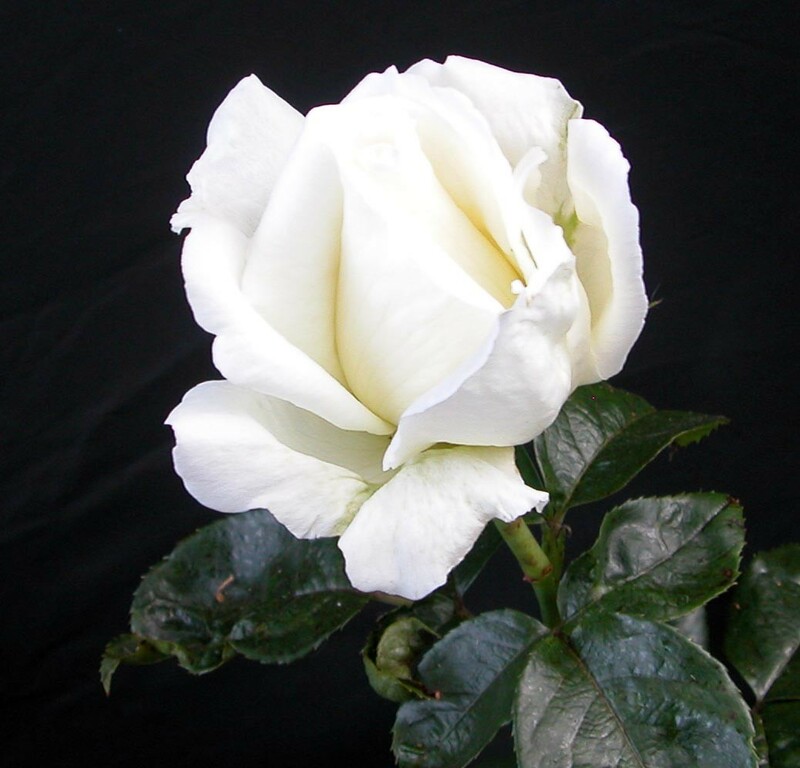 Only hybrid tea roses should be fairly hard pruned, most other roses will respond well to the previous season’s growth being shortened by two thirds to half their length. 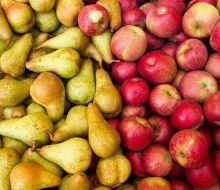 Don’t over do it, it is better to under-prune than to cut off too much. If in doubt, leave alone. Dead and old wood can also be cut out. Don’t worry about the old advice of cutting above a bud, or sloping cuts, because it makes no difference. 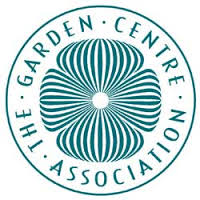 Timing can be important: ramblers and vigorous climbers can be hard pruned after flowering or in autumn, but most other roses are best pruned in spring, not too early as you don’t want the resultant soft growth to be frosted: late February to late March for coastal, mild and sheltered gardens and early to mid-April for colder, inland gardens. Most bush roses benefit from spraying, especially for black spot in wet summers. If you don’t want to spray, or you live in western Scotland, you would probably be better off choosing healthier species and shrub roses. Roses are greedy plants: they need feeding regularly, either with manure or granular fertiliser. It is well known that bush roses should not be replanted in a bed where roses have previously been grown, unless the soil is changed. This is known as ‘rose replant disease’ or ‘rose sickness’. Most shrub and species roses do not seem to suffer from this, which suggests that the over-breeding of modern roses may be the cause of it. 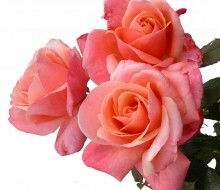 Half standard and standard roses are grafted on stems 50cm-1.5m high. Standard bush, patio and weeping (i.e. ground cover) are available. They need to be carefully staked, kept out of strong winds and pruned carefully to ensure that the head does not get too large.